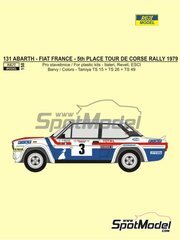 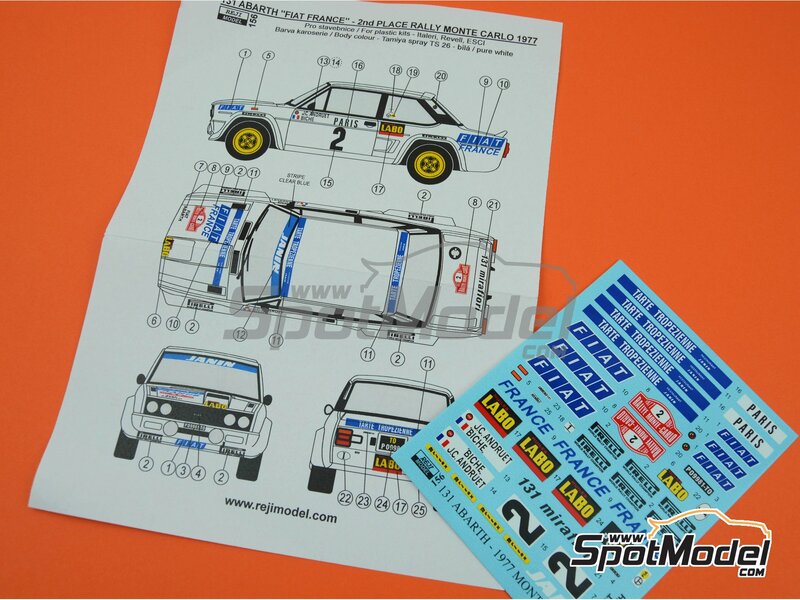 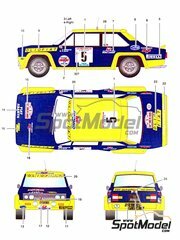 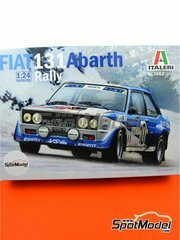 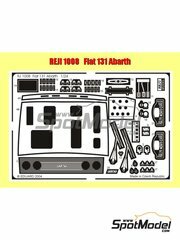 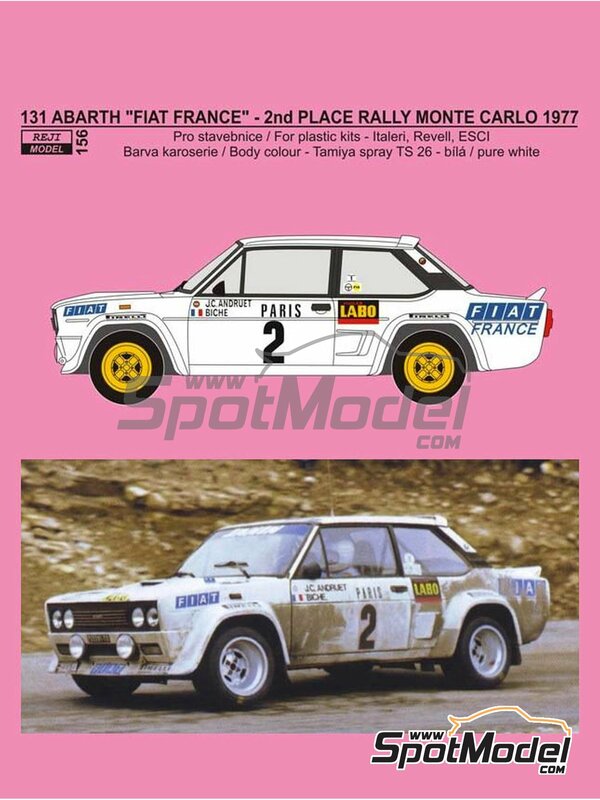 Decoration of the Fiat 131 Abarth driven by Andruet that finished in second position in the 1977 Monte Carlo Rally. 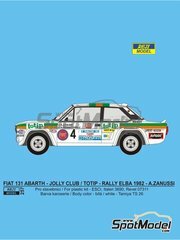 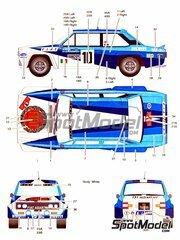 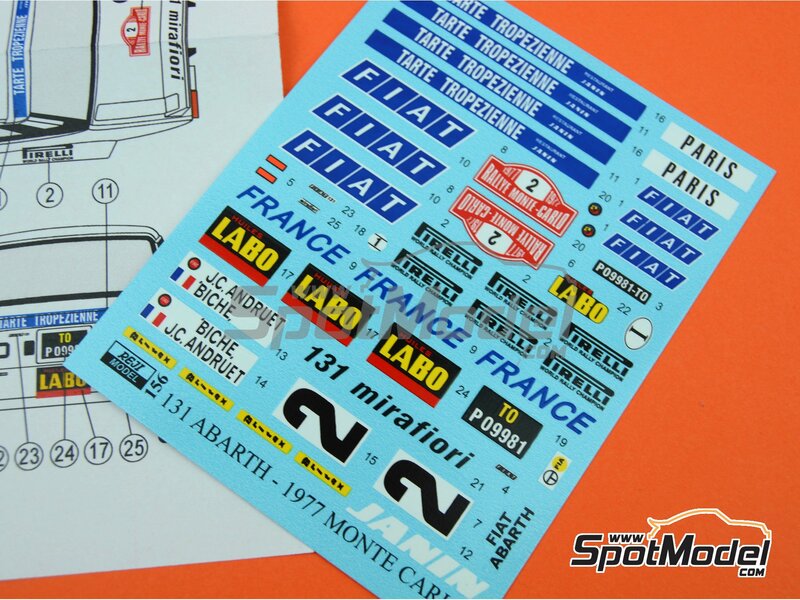 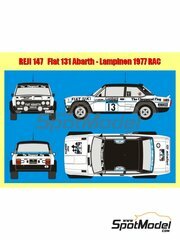 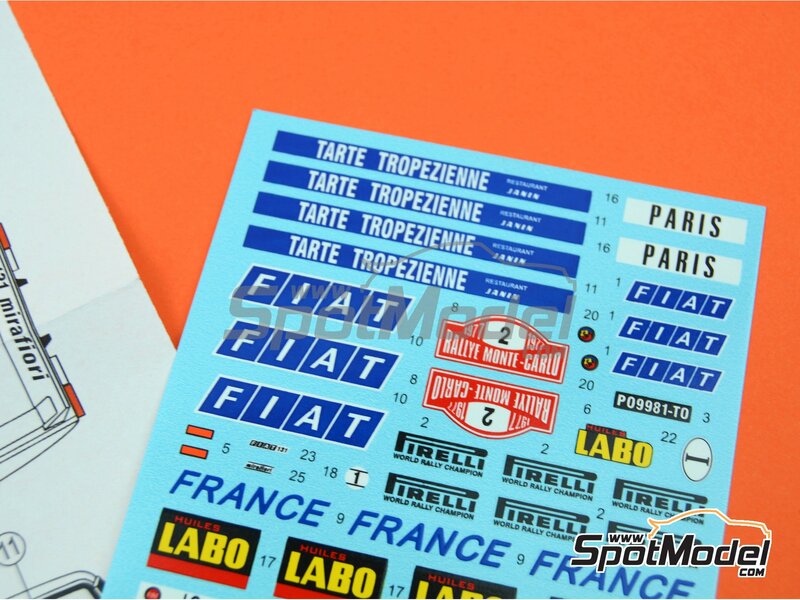 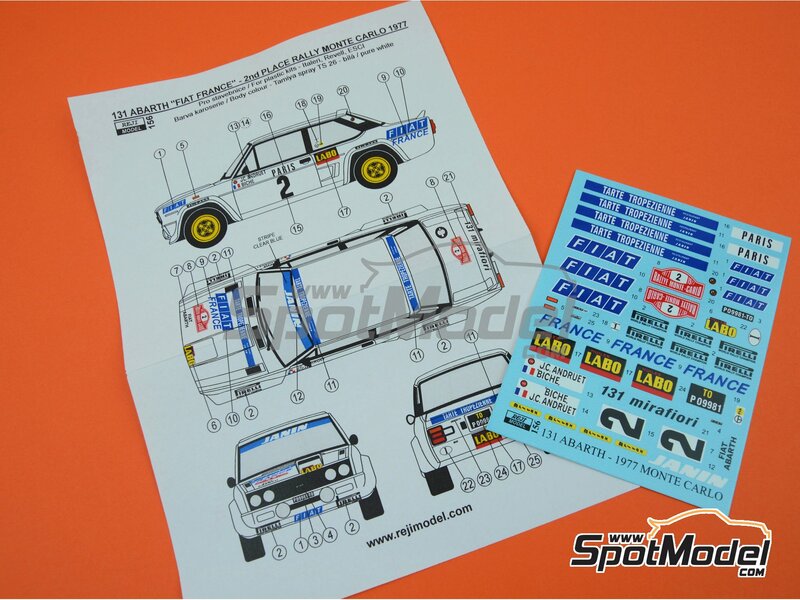 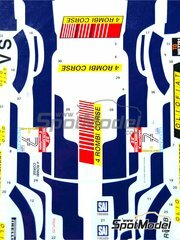 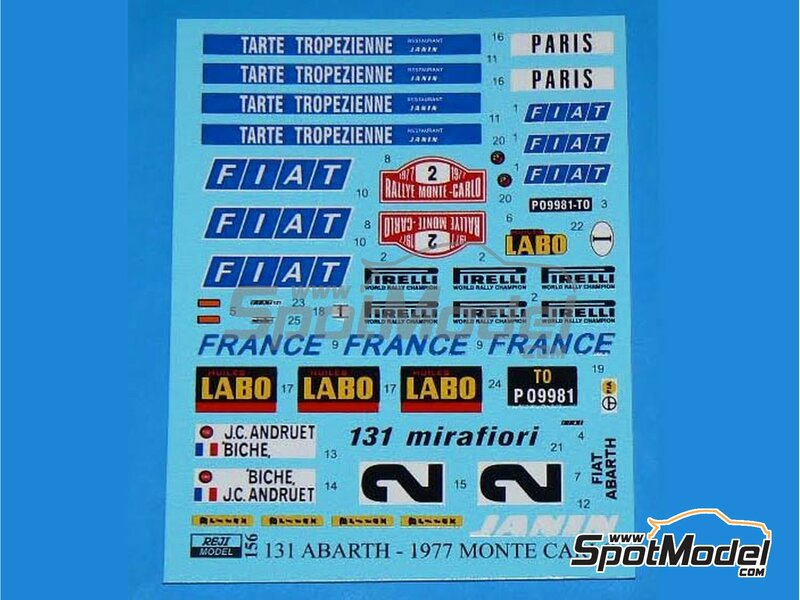 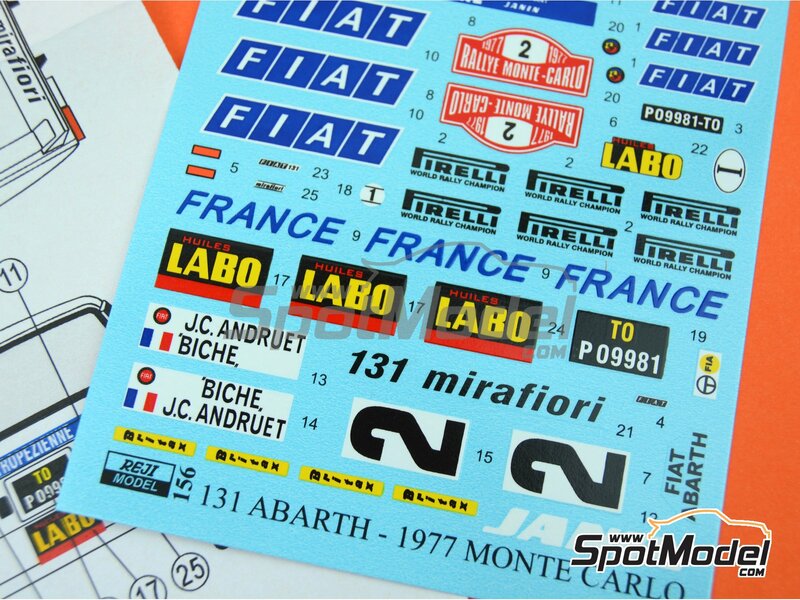 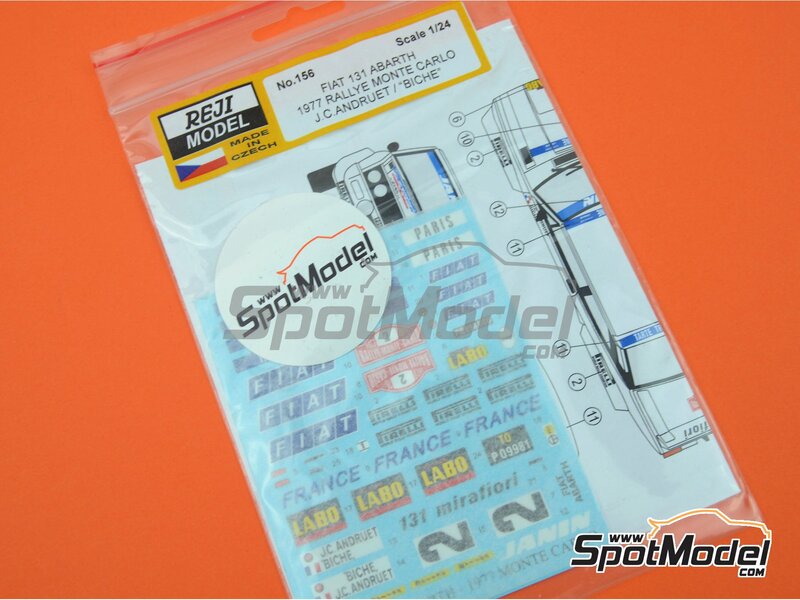 You can use these decals in both the Italeri kit and the original Esci kit. 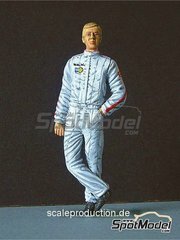 Manufactured by Reji Model in 1/24 scale with reference REJI-156 (also listed as 157, REJI157 and REJI 157). 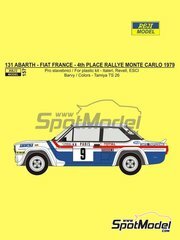 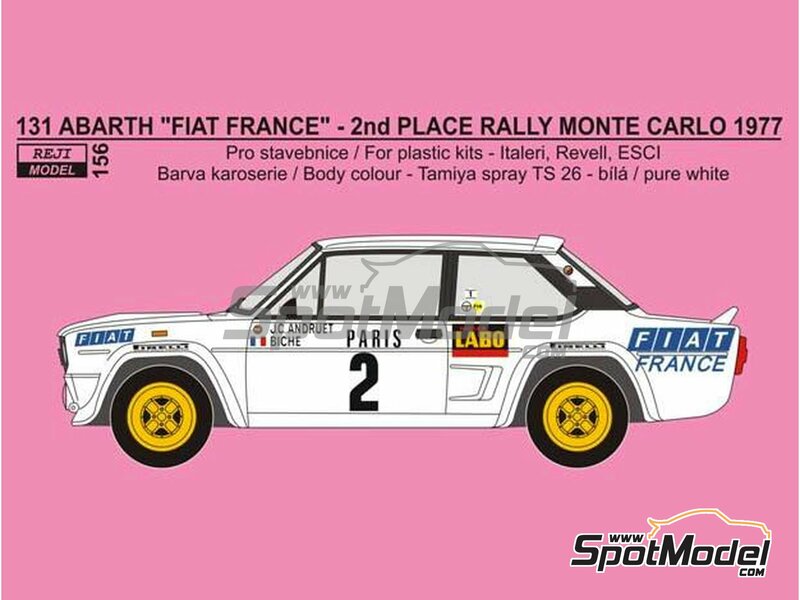 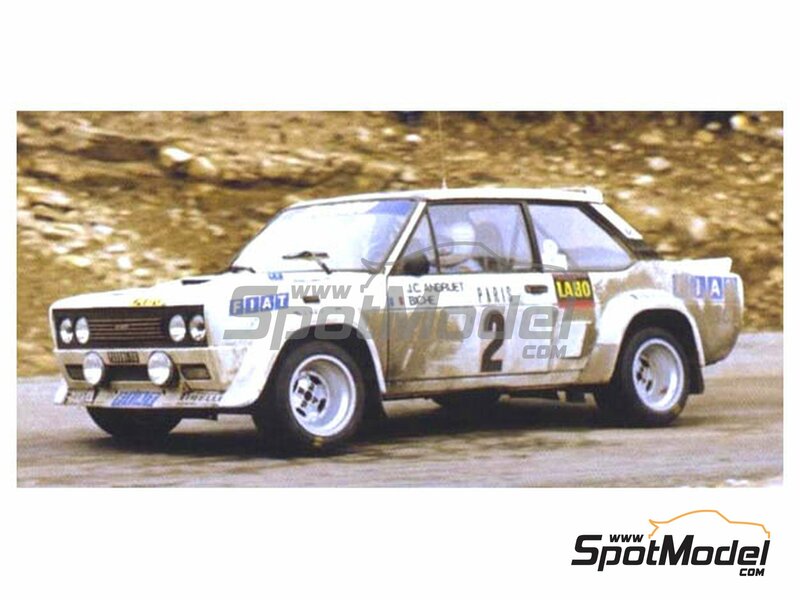 Raced at the Monte Carlo Rally - Rallye Automobile de Monte-Carlo in 1977. 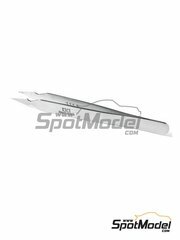 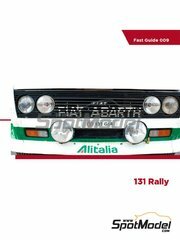 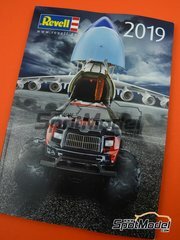 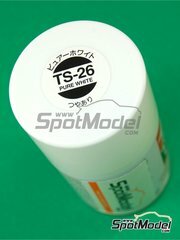 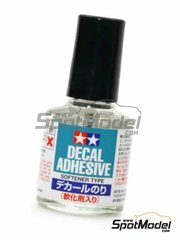 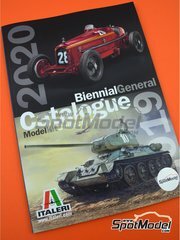 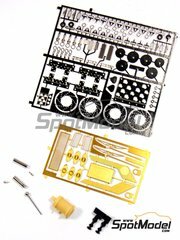 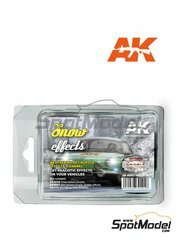 To be used with Italeri references 3662, ITA3662, 3662S, ITA3690 and 3690, or Revell references REV07311 and 07311. 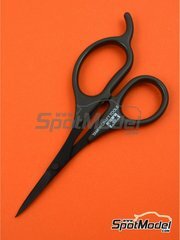 Package measures 120 mm x 170 mm x 1 mm (width x depth x height), weighting 7 g.
Featured in newsletters 337 and 350.